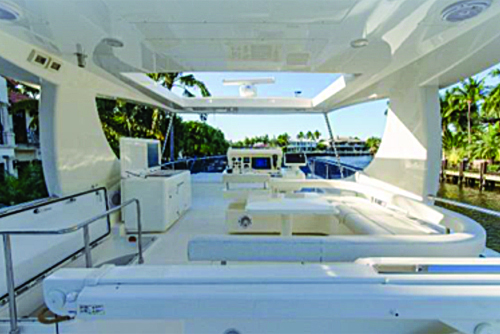 2011 model of industry leader Ferretti’s 75 FLY. Excellent separation of spaces, separate crew entrances, elegant modern design, and a very stable ride. 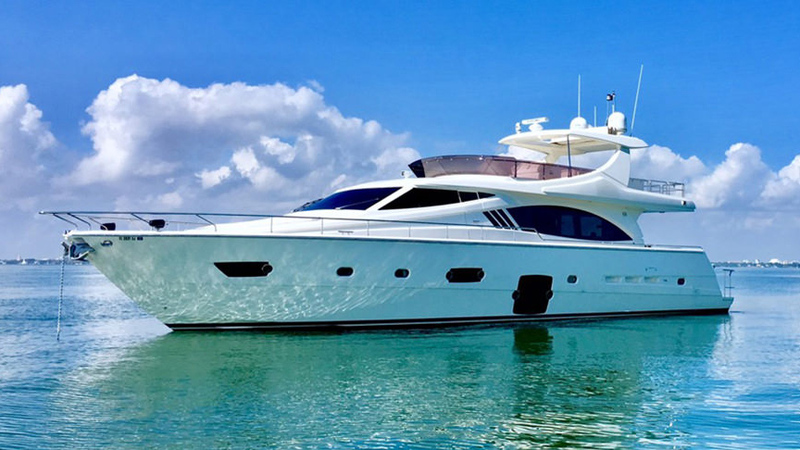 Gorgeous yacht for the refined yachtsman. Elegant salon, dining room, and 3 separate outdoor areas. Stabilizers, sunroof, outdoor kitchen, oversize windows.